​Hue Jackson may have been fired from his head coaching job in Cleveland, but his lovable mediocrity is still in all of our hearts. 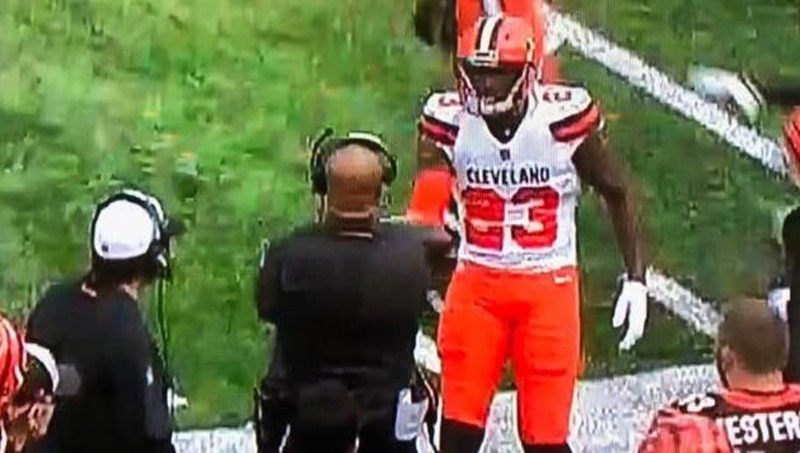 Now an assistant for the Bengals, Jackson found himself once again on the sidelines of a Browns game. This time, he finally received a game ball, but it was charged with disrespect. Damarious Randall picked off Andy Dalton, walked over to the Cincinnati sideline, and handed Jackson the ball. Jackson played it off as well as he could, patting Randall on the helmet. Maybe he really is the football version of Michael Scott like his former players said. Completely clueless. ​The Browns continued their Sunday whopping of the Bengals. ​A team with Jackson on their side is destined to fail.